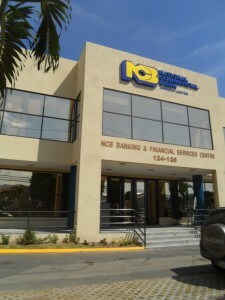 NCB Insiders sending $650m message? NCB had a good 2018 fiscal year with strong profit gains. Insiders buying shares in companies they oversee is worthy of note and investors should pay keen attention to the coded message it may be sending. It would appear that some directors and executives at NCB Financial Group, see big things ahead to have put down J$650 million in buying a block of the stock close to the highest piece it has traded at in recent times. According to the Jamaica Stock Exchange, NCB Financial Group advised that two directors and six executive officers purchased a total of 4,793,610 NCBFG shares on November 20, 2018. The only issue with the announcement is that the stock exchange report for the November 20 shows only 4.2 million NCB’s shares traded on that day. The acquisition took place after an announcement that NCB was now cleared to acquire an additional 22 percent of Guardian Holding shares at TT$18 each. For the nine months to September, profit attributable to equity holders of the Guardian jumped to TT$371 million for the nine months to September, from $254 million in 2017 and rose to $156 million in the quarter from just $60 million in the 2017 period. 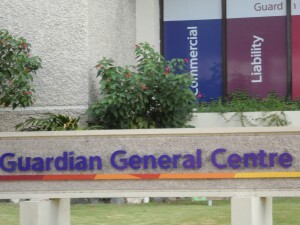 Guardian reported audited profit of TT$407 million in 2017. Earnings per share ended at $1.60 for the 2018 nine months period compared to $1.75 in the twelve months of 2017. At $18 per share NCB is getting a bargain with the stock selling around 9 nine 018 earnings while NCB is selling locally at 14 times earnings. Guardian’s shares closed trading at TT$18 on the Trinidad and Tobago Stock Exchange today while NCB traded 211,790 shares with the last price at a record $137. NCB closed with buying interest in just over 417,000 units between $125 and $136.01, with selling of 215,000 units between $137 to $169.80. Jamaica Broilers Group (JBG) has effectively bought back just over 165 million units of its issued shares in a deal that was funded by the group and placed in a shareholders’ trust. The Company advised the Jamaica Stock Exchange that it entered into an Agreement prior to the 28th day of April, 2018 to lend to JBG Stockholders Nominee Limited (“the Shareholder Trust”) a sum not exceeding J$4.35 billion. A portion of the loan was used to purchase a total of 165,452,446 shares. This block of shares was held by family branches of one of the Founders of the Company and the trustees and entities connected to them; none of whom are currently involved in the management of the Company. The block does not involve shares held by the Chairman Robert Levy and President Christopher Levy who still maintain their shareholdings. The block of shares were traded on the stock exchange on Thursday. According to the report released by the company, the directors of JBGL saw this as an opportunity to provide a substantial benefit to the shareholders of the Company. Accordingly, the Directors of the Company approved the loan to the Shareholder Trust to purchase the available Company shares. The Shareholders Trust will hold the shares purchased, and all benefits derived will be for the benefit of all shareholders of the Company. The Shareholders Trust will service the aforesaid loan from dividends and/or distributions paid upon the shares and from the proceeds of the sale of the shares. 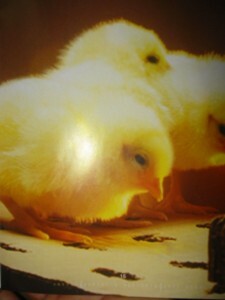 Is Broilers’ inside trade a buy signal? Insider trading in the stock of the company they are connected to can be a big indicators of future prospects, but it is not always the case. In the past big purchasing of Jamaica Broilers Group shares by insiders have signaled improved profits down the road. Could the latest big trade be such a signal? The latest ones are a bit confusing with bought buying and selling although there is a bias towards buying. The company recently reported that three Directors and three Senior Managers purchased a total of 5,735,448 of the company’s shares and that a Director and a Senior Manager sold a total of 5,214,772 of the shares, during the period July 11 to 14. The company reported earnings of $1.85 per share for the just concluded 2017 fiscal year and IC Insider.com forecast is for $2.60 for the 2018 fiscal year to April as revenues continues to grow and debt is paid down with increasing profits. The stock which traded on the Jamaica Stock Exchange on Friday at $18, is one of IC Insider.com’s TOP 10 main market stocks to own. 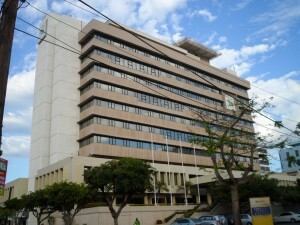 Sagicor Group JSE ownership exceeded 10% restriction..
Two blocks amounting to 35.2 million Jamaica Stock Exchange shares were traded in the local exchange morning session, one day after the exchange advised Sagicor Group that they were in breach of Article 48 of the Articles of Incorporation of the Company. The article sets a 10 percent limitation for ownership by any one shareholder. The restriction is meant to prevent anyone shareholder from dominating management of the company. The prospectus when the company sold ordinary shares to the public in June 2103 stated: Ordinary Shares – Special Provisions to Prevent Unacceptable Control Situations. Article 48 of the Articles of Incorporation of the Company contains provisions that are designed to prevent any Shareholder (including a Member Dealer) from holding Shares above the “Prescribed Percentage”, being over 10 percent of the issued share capital of the Company. If the voting power of any person (either alone or together with others) is more than the Prescribed Percentage, the Articles deem that an unacceptable control situation exists. In those circumstances, the same Article also deems that any Shares above the Prescribed Percentage are default shares that no longer carry rights to vote at general meetings of the Company. The Company has a power to give notice to the holder to dispose of any default shares, failing which the Company may dispose of them. On March 3, a total of 35.3 million units of Jamaica Stock Exchange shares were trading through the market. There are times when trading by insiders may be significant and investors would be smart to take note of it. A recent trade in Pan Jamaican Investment Trust shares by a director seems to be worthy of note. The company this week informed the Jamaica Stock Exchange that a Director sold 2,508,590 of the company’s shares on September 30. The sale comes against the back ground that Pan Jamaican reported net profit attributable to owners for the quarter ended June of $867 million, compared to $853 million in the similar quarter of 2015, a mere increase of 2 percent, equivalent to basic earnings per share of 83 cents. Net profit attributable to owners for the six months ended June 30, amounted to $1,589 million, compared to $1,395 million for 2015, an increase of 14 percent, equivalent to earnings per stock unit of $1.50 compared to $1.33 for the same period in 2015. The year to date net profit, includes the impact of a gain of $185 million realized on the sale of the group’s interest in Hardware & Lumber during the first quarter of 2016. Mayberry Investments is one of the listed companies in which there are regular trades done by insiders, the period since August into September have a number of moderate trades. Mayberry Investments has traded heavily in LASCO Financial Services shares recently to top up their holdings. 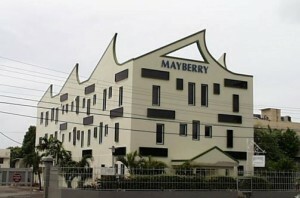 A connected party of Mayberry Investments purchased 15,766 shares on September 2, 10,500 shares on September 1. A related party purchased 13,289 shares on August 31, while on August 30. Directors trading in the company’s stocks include a purchase of 60,000 shares and sale of 10,000 shares on August 3 and purchase of 2,000 shares on August 15, 37,300 shares on August 10 and 73,539 shares on August 10-18. A sale of 19,496 shares on August 22, 11,000 shares on August 11, 10,000 shares on August 10, while another 21,000 shares were sold on August 10-11. Mayberry Investments was the main buyer of LASCO Financial Services shares recently in an effort to up their holdings to maintain their 20 percent holding in light of an increase in the issued shares in connection with the staff option plan an informed source told IC Insider. The inside trades resulted from a connected party purchasing 552,729 of the company’s shares on September 2, while on August 24, a connected party sold 37,480 shares and a connected party purchased 701,234 shares. 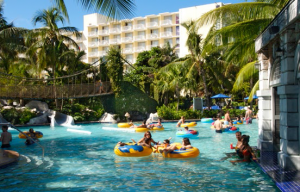 A connected party of Caribbean Producers sold 54,074 CPJ shares on September 7 and on September 1 connected parties sold a combined total of 3,245,289 shares. An Officer of Trinidad Cement purchased through the TCL’s Employee Share Ownership Plan 107,715 TCL shares on September 6 and a related party sold 15,000 TCL shares over the period August 16-18. A National Commercial Bank, related parties purchased 27,664 shares on August 30. Parties connected with Blue Power Group purchased 48,421 shares during the period June 30 to August 18 and sold 2,000 shares on August 18. A Supreme Ventures connected party sold 8,000,000 shares and another sold 1,223,602 shares on August 3 and August 16, respectively. A connected party sold 838,345 shares and a member of the Senior Management purchased 12,465 shares on September 8. A Director has sold 50,000 Honey Bun shares on August 22 and on August 12 a director sold 10,050 shares and an Eppley connected party sold 121,667 shares in the company on August 12. Sagicor Group HQ -Insiders been buying & selling the stock recently. Trades done by parties connected with companies may carry coded messages as to likely future performance of the companies. Not all trades may have much meaning but some could indicate increased profits or a company they may consider undervalued in the case of buying and in the case of sales, it could be that profit going forward may be disappointing and may suggest the company may be overvalued by the market. In the past some of the trades in the local market have not sent any known information when viewed against developments in the companies subsequent to the trades by insiders. In the case of a few of the listed companies investors are well advised to pay attention. Insiders’ trade in August and September to date, are as listed below trades the various companies reported to the Jamaica Stock Exchange. Sagicor – There was slightly more buying than selling of shares in Sagicor Group. A related party of the Sagicor Group purchased 71,716 shares on September 7 and 9, and a member of the Senior Management sold 70,000 shares on September 9, while two executives sold 155,000 shares on September 1, and related parties purchased in total 240,075 shares between September 1 and 2. An Executive sold 82,700 shares and related parties purchased 99,046 of the group’s shares, between August 29 and 30. A connected party purchased 152,750 of the group’s shares on August 26, while a related party purchased 48,650 shares on August 22, and a director sold 173,800 shares on August 15, while another director purchased 2,350 shares on August 15, and a director sold 165,000 shares on August 16, while a director purchased 236,250 shares on August 16. A JMMB Group connected party sold 1,000,000 of the company’s shares September 7 and a connected party sold 9,000 shares on August 18. A Jetcon Corporation connected party purchased 199,800 shares on September 6 and 72,964 shares on August 22, while a related party purchased 152,699 shares and connected parties purchased a total of 279,735 shares on August 16-17. 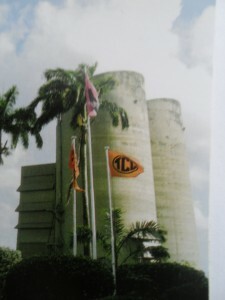 Company Executives purchased 24,633 and 29,240 Caribbean Cement shares on September 1 and a Senior Manager purchased 300 shares on August 17. At Grace Kennedy, a senior officer sold 75,144 shares on August 29 and 30. Jamaica Stock Exchange saw connected parties purchasing 8,234 and 18,034 shares on August 31, while a director purchased 2,000 shares on August 18. Insiders trading into shares of companies they are involved in can be an important indicator of likely future fortunes of the company. Of course not all such trades are equal but they may be strong clues. The Jamaica Stock Exchange has released reports on several insider trades recently. Most recent reports show that a director of Sagicor Real Estate X Fund demonstrated strong faith in the future of the company, by purchasing 121,500 shares on November 20 at $9.90. The fund reported consolidated net profit attributable to stockholders of $1.04 billion for the nine months to September or 63 cents per share with net profit for the September quarter ending at $349 million or 17 cents per share. The quarterly results include capital gains on financial assets and liabilities of $279 million and $746 million for the year to date. The net asset at the end of September amounts to $6.83 with the selling at a premium of 46 percent above net assets. Elsewhere, at Caribbean Flavours connected parties, purchased 212,000 units of the company’s shares on November 17 at $5, the stock last traded at $6.30 and should go higher with recent results showing growth in profits. Insiders purchased NCB shares recently. In the meantime, at National Commercial Bank a connected party purchased 34,295 units of NCBJ shares on November 18 and on November 17 a connected party purchased 1,000 units, that is considered undervalued at the last traded price of $37. On November 19 a director purchased 5,300 Eppley’s shares at $400 each. Lasco Financial Services that is expanding into new areas, saw a connected party purchasing 393,189 shares between November 5 and 23. At Sagicor Group an Executive and two Officers collectively purchased 497,634 of the company’s shares under the Executive Long Term Incentive Scheme on November 16 and 17, but on November 18 an Executive sold 365,400 shares. Not all insiders were buyers, as Kingston Wharves advised that connected parties sold 12,523 units of its shares on November 17 and 18, while at Mayberry Investments connected parties purchased 4,058,034 units of the company’s shares while a related party sold 3,500,000 units on November 17 and a connected party purchased 127,443 shares on November 18. Caribbean Cream informed the stock exchange that a connected party sold 750,000 shares between October 28 to 30, while a related party purchased 2,895 shares on October 16. 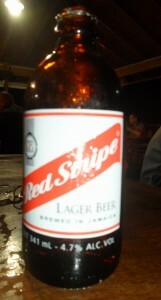 Jamaican shareholders will make a windfall when Dutch based Heineken bids US$194 million for the remaining shares in the Red Stripe brewery company it now does not own. It could result in the delisting of Desnoes & Geddes (D&G) similar to what occurred a few years earlier when Italian based Campari bought the bulk of shares in Lascelles deMercado from Trinidad based CL Group triggering a bid for the remaining shares. Heineken earlier this week acquired nearly three-quarters of the shares in local based brewery from UK based Diageo in a deal spanning Jamaica, Malaysia and Singapore and Ghana totalling US$780.5 million. 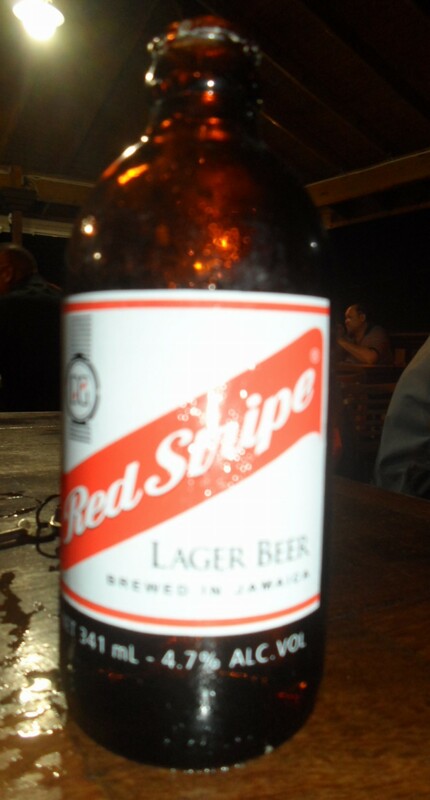 “In accordance with the Jamaican Takeover Code, as a result of the acquisition of Diageo’s shareholding in D&G. Heineken will in due course make a mandatory offer for all shares of D&G not already owned by Heineken. If they acquire enough shares to give them 90 percent ownership, they intend to apply the mandatory offer to compulsory acquire the rest. The minority interest represents 26.7 per cent of the issued share capital of D&G, and implies a maximum total consideration of US$ 194 million. Further announcements regarding the mandatory offer will follow in due course,” stated Heineken in a release. Desnoes and Geddes had a bid as high as $13 per share during trading today but the stock never traded and it ended with 2,744,725 units on the bid at $10.58. The stock last traded on Wednesday at $8 well below the offer price of almost J$31 for each share with the offer priced in US dollars. Owners in Jamaica Stock Exchange will also be in on the fortunes of the deal as the exchange will end up collecting a nice payday when the local shares are transferred. Going forward the exchange will lose the annual listing fee and fees for trading the stock on the exchange.